The XSMF Extra Speed Module Fast is designed to speed up the recycling for a Lumedyne flash system. It attaches between the Battery and the Power Pack to generate faster recycling times. There are no switches, if it is between the Pack and Battery it automatically makes the system recycle faster. Speed Modules do not make the system brighter, Boosters do that. However, sometimes when Boosters are used to make a system brighter and then the recycle times get much longer, then adding a High Speed Module next to the Battery in the stack makes a huge difference cutting that time down faster. It weighs about a pound is and about two inches tall and has metal screen sides to allow it to continue recycling at very high speed without overheating. Because the XSMF has 28 amps of recycling power it is more than three times faster than the speed of the #065 Pack with it’s 7 amp draw. The #065X, Packs and the #067X Packs (both Pack # styles with letters X, M, L, Q, or T all have 14 amps) all get more than twice as fast when the XSMF is used. The #065Z or #067Z Packs recycle at 28 amps like our current Extra Fast recycle rate of the Next Generation and Signature Series will be twice as fast when the XSMF is used. This High Speed Module will work with any Battery size but the Small ones aren’t really recommended for this because they will run down much faster under this heavy load and it wouldn’t be good for them in the long run. With the larger Batteries you should expect about 20-30% fewer flashes per charge when you recycle twice as fast. 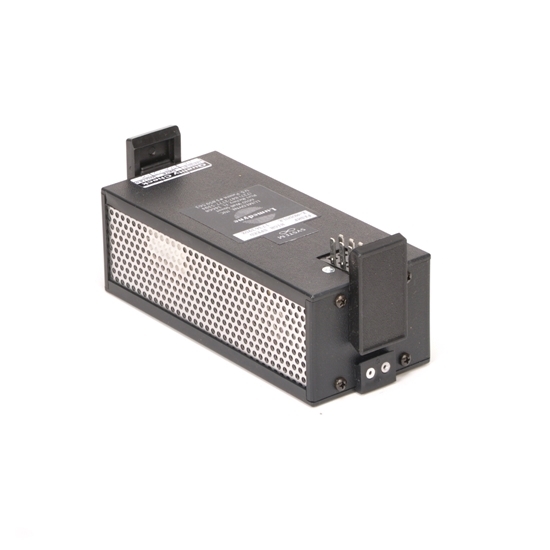 You can use this High Speed Module with the AC Power Supplies that we currently offer. The maximum speed of the smaller XPSU AC Supply was 30 amps so you won’t quite get the full potential of the High Speed Module with most Packs even though they will be much faster than without the Speed Module. However, if you already have an extra fast Pack or you want the maximum possible speed then you will want the 60 amp XACU Power Base.